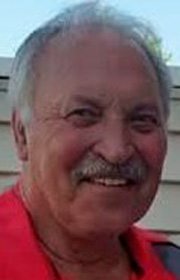 ALTA — Gene Lloyd, age 70, of Alta, Iowa formerly of Fort Dodge, Iowa passed away Sunday, February 18, 2018 at the Marian Home in Fort Dodge. Funeral services will be held Friday, February 23, 2018 at 10:30 a.m. at the Uni­ted Meth­odist Church in Storm Lake. Burial will follow in the Buena Vista Memorial Park Cemetery in Storm Lake with full military rites. Visitation will take place Thursday, February 22, 2018 from 5-7:00 p.m. at the Fratzke & Jensen Funeral Home in Storm Lake. The Fratzke & Jensen Funeral Home in Storm Lake is in charge of the arrangements. Eugene James Lloyd was born May 10, 1947, in Blue Earth, Minnesota, the son of Glenn and Pearl (Gruis) Lloyd. Gene was baptized and confirmed at the Evangelical Reformed Church in Ledyard, Iowa. He attended school in Ledyard, graduating in 1965. On August 31, 1966, Gene joined the United States Air Force. He served his country in wartime and was honorably discharged on September 13, 1969. Gene was the proud father to four children: Darin, Heather, Trevor, and Whitney. On July 14, 2007, Gene was united in marriage to Susan Kennedy in Storm Lake. Gene worked as an optician for over thirty years. He retired at the age of 62. Camping, fishing, golfing, hockey and traveling were a few of Gene’s favorite activities. He was also dog lover and had three dogs: Maggie, Angel, and Bandit. Most of all, he loved spending time with his wife, children, and grandchildren. He will be deeply missed by all who knew and loved him. Those left to cherish his memory include his wife, Susan Lloyd of Alta, Iowa; children: Darin (Laura) Lloyd of Clare, Iowa; Heather (Tim) Goche of Bancroft, Iowa; Trevor (Shelby) Lloyd of Pineville, Louisiana; Whitney (Nick) Ford of Fort Dodge, Iowa; grandchildren: Ashley (Joshua) Lenahan, Dustin (Krystal) Lloyd, Adam Lloyd, Brandon Lloyd, Brittney Lloyd, Tyler Olson, Nick Goche, Riley Goche, Ellison Goche, Owen Lloyd; eleven great grandchildren; sisters: Bonnie Lloyd-Eiffler of Waverly, Iowa; Shiela Prior of Altoona, Iowa; Glennis (Dale) French of Ackley, Iowa; dog, Maggie; two very special little girls from hockey that adopted Gene as their grandfather, MacKenzie and Pressley; extended family and many friends. Gene was preceded in death by his parents; infant children: Michelle Faith and Barry Gene Lloyd; sister, Ranae Anderson; and dogs, Bandit and Angel.